I made it home safe and sound from Costa Rica, and I can't wait to see all of your lovely faces. On a trip with so many different personalities, we had our share of rocky moments, but overall it really made me appreciate the differences among my friends...the differences among us all. We all share a common ground, but each of us has something that sets us apart, which is something wonderful about human nature. We all have the ability to shake things up, to see things from another point of view, and to run the show our own way. It's time to embrace those differences instead of using them to build walls between us. I have my fair share of walls. Typically they stem from being shy and insecure. I know many of you don't see that in me, but when I meet someone new I am often quiet and reserved and just trying to get my footing so the butterflies in my stomach can emerge and spread their wings. I wish I could be that beautiful butterfly all of the time, but it's been easier said than done. Why do I have this tough shell that makes it so hard to soar? Why do I put up walls between me and the world around me? It's a question that has so many answers, but what it really needs is a solution. Yesterday on my flights home I sat next to two very friendly and secure people and it made me wonder why I am not so outgoing? It came down to one or two split second decisions that we all make several times a day. When you pass someone, do you make eye contact or not? When you make eye contact, do you say "hi", smile, or just keep on moving? More often than not, I fail at the first decision and fear making eye contact. How different would my life be if I just made the opposite decision, no matter how awkward it may be? So...what if I made eye contact and said "hello" to everyone I came in contact with? It may or may not go any farther than that, but that's ok too. Either way, today, I am pushing myself out of my shell, breaking down the wall, and choosing to make eye contact with my life. If a 30 year old autistic man and a 6 year old girl (the two people I sat next to on two separate flights) can survive out of their shells, so can I! I encourage you all to analyze your own shells today. How hard are they? How colorful are they? How comfortably do they fit? 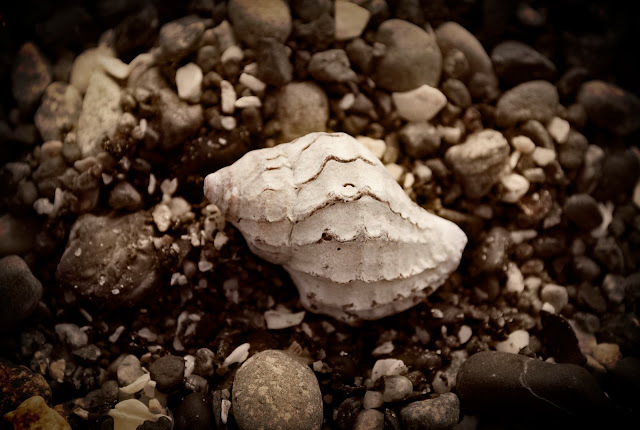 Add a comment below this post and tell me your stories about coming out of your shells. We can all learn a little from eachother and our differences.